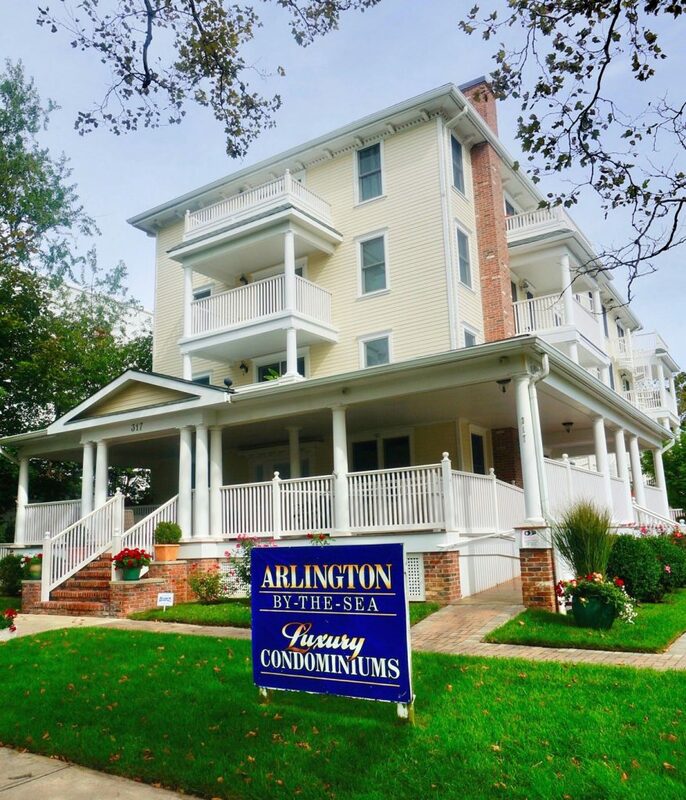 Arlington By The Sea is a luxury multi-level Neoclassical style condo building located at 317 6th Avenue. This building was originally a hotel that was later converted into 1 and 2 bedroom spacious condominiums. Each unit features a spacious balcony, walk in closets, central heat & air, hardwood floors, updated kitchens with stainless steel appliances, large bedrooms, ample storage space & there is a washer/dryer in each unit. The building is pet friendly and there is assigned off street parking. Arlington By the Sea has on site landscaping, an inviting front porch and common patio with grill for your barbeque needs and get togethers. Arlington By the Sea is in a quiet residential street only 2 ½ blocks to the beach and boardwalk. The wonderful restaurants, nightlife and shopping options of Cookman Avenue are just a mile down the road. Fun Fact: This condo was originally built in 1905 as "The Arlington Hotel."